Scotland's Lesley Doig, already through to the women's singles semi-finals at the World Indoor Bowls Championships, returned to the blue carpet today to earn a place in the mixed doubles final on Tuesday (January 23) with her partner Jamie Chestney. 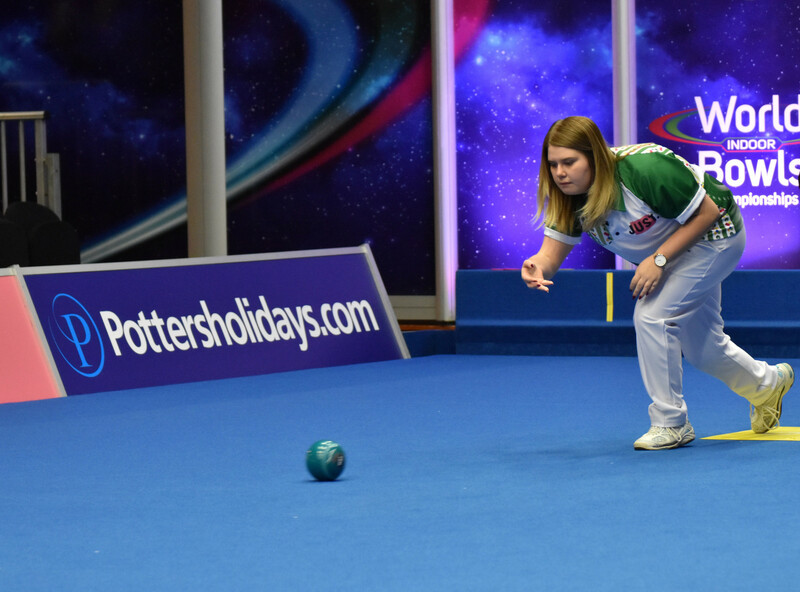 There was a large and vocal following at the Potters Leisure Resort in Great Yarmouth for their semi-final opponents, local players Katherine Rednall, from Ipswich, and Greg Harlow, from Ely. But the home crowd was to be disappointed. Going into the final end of the first set at 5-5, Chestney produced a single shot that was enough to secure the early lead for him and his partner. Chestney and Doig got to 5-3 up in the second set before two superb singles enabled Rednall and Harlow to draw level, but that was how it stayed and so the earlier set proved decisive. 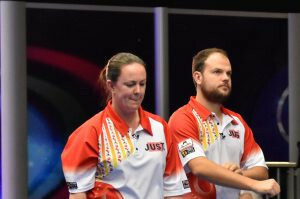 England’s Rebecca Field, winner of the previous evening’s final women’s singles quarter-final match, won the first semi-final with her playing partner Darren Burnett of Scotland. Earlier in the tournament Field and Burnett had defeated defending champions Claire Johnston and Nick Brett. They got off to a flying start as they took a 7-0 lead in their first set against Scotland’s Stewart Anderson and Alison Merrien of Guernsey, but were glad to hang on to win it 7-5. Anderson and Merrien maintained their momentum by taking a 5-1 lead in the second set, and they pushed on to win it 8-4 and force the tie break. Anderson and Merrien went one end up, Burnett and Field levelled and the third and final end was effectively won by Burnett’s drive which took his opponents’ green bowl away from the jack.